Customized to fit your business' needs. Wayne T. Essex is a successful business owner, professor, and speaker. 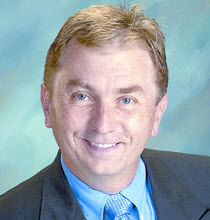 He is the founder and owner of Essex & Associates, one of the largest accounting firms in Ohio. He is a devout Christian who founded Essex & Associates, a faith-based firm, in 2004. In his free time Wayne often volunteers for his church, including teaching Sunday classes and assisting with youth camps throughout the year. He is a professor at Edison Community College, teaching an entry level personal income taxation course. He also frequently speaks at various events about tax preparation to continue educating the general public about the importance of filing taxes. Contact Us Now For Your Tax Resolution Needs!